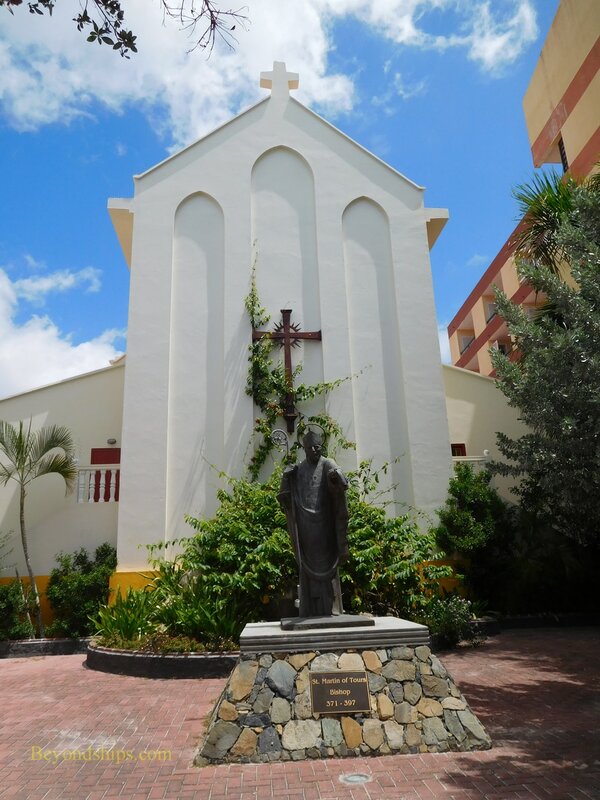 Above: A statue of the saint in the grounds of St. Martin of Tours Church. Left: A plaque illustrating the story of St. Martin sharing his cloak with a beggar. Sitting between the shops and cafes along the Boardwalk in downtown Philipsburg is a small, well-kept church. It is a serene oasis of spirituality amid the worldly excitement going on around it. St. Martin of Tours Roman Catholic Church runs between the Boardwalk and Front Street. Indeed, the front of the Church is on Front Street. However, the Boardwalk entrance with its pretty garden and statue of St. Martin probably attracts more visitors. Inside, the church has a tropical feel. Its high ceiling, white walls and natural light give it a feeling of openness. 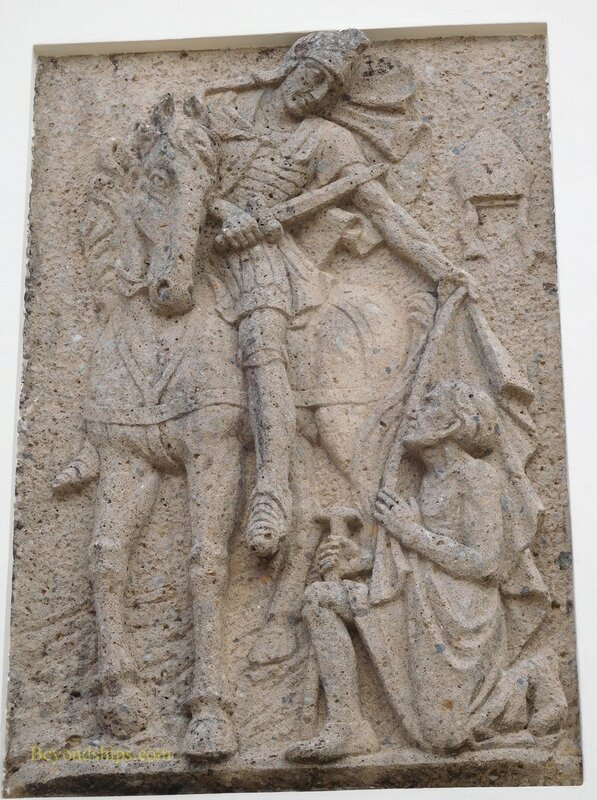 St. Martin of Tours was a fourth century Roman soldier who left the army because a conscientious objector. He went on to become a monk and was later acclaimed as Bishop of Tours in France. This Caribbean island was named after St. Martin by Christopher Columbus. The explorer encountered the island on November 11, 1493, which according to the liturgical calendar was the feast day of St. Martin. 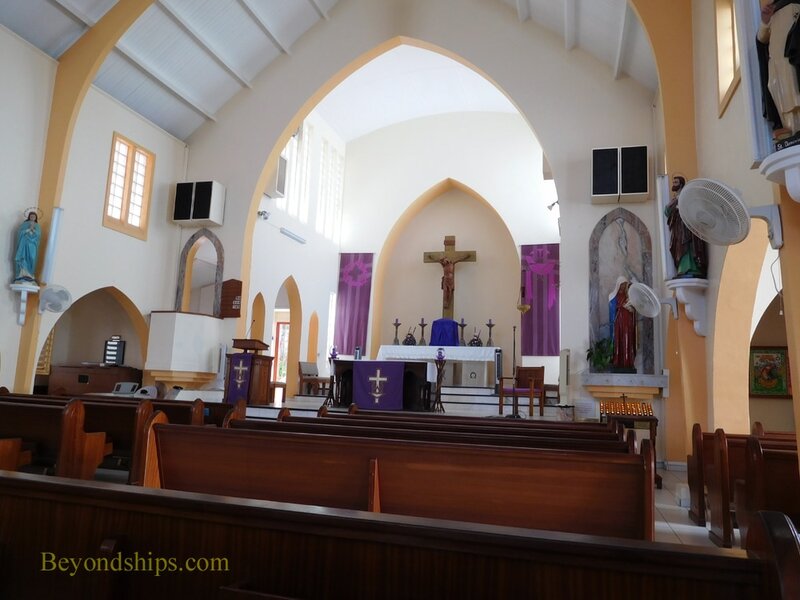 Inasmuch as the island is named after St. Martin, it was only natural that the Roman Catholic community on the Dutch side of the island should decide to dedicate their church to him when they built their first church. The cornerstone of that church was laid down in 1841 on the site of the current church. By the mid-20th century the community had grown so that a new larger church was needed. The new church, i.e., the present church, was finished in 1952. The parish, which now includes churches at two other locations, has about 22,000 members. Visitors can explore the church grounds and go inside the church. For more information, see the parish's website. Above: The interior of the church. 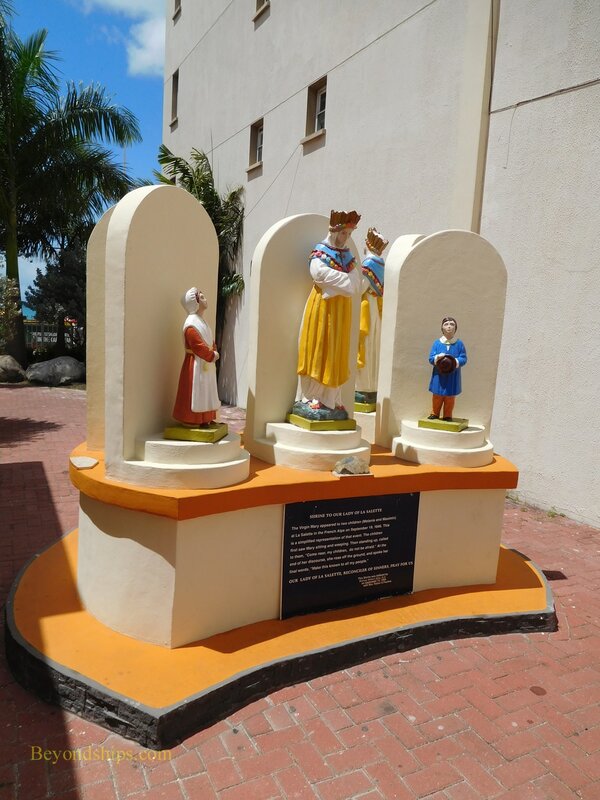 ​Below: The shrine to Our Lady of La Salette in the church grounds.